So what to do? Late in 2010, a group of Board members and volunteers put our heads together and came to the realization that since we were trying to preserve a farm, we should try to do some farming. We looked at each other and rapidly deduced that none of us had the foggiest idea how to do it. We needed some expert help and, in early 2011, we hired Adrienne who had been farming an organic farm outside Washington, DC. Sally started those first seedlings in her living room and, sure enough, come the second week of June, we actually had real vegetables, grown in Winchester, at the Winchester Farmers Market. It was a small, but very proud display. Looking back it seems pretty simple, but it was a big step for us at the time. It marked the first real investment in our farm. Taking on a financial obligation, when the payout is uncertain is risky business. But in the end, that investment has paid off. We are now bursting with activity from early March to late November, growing and selling a full compliment of market crops. We’ve added farm-based educational programs and classes for people of all ages, and we’ve opened our doors for public and private events, providing a community venue for recreation, leisure and gathering. This time of year, there is always something going on at the Farm. Come up and check it out for yourself. 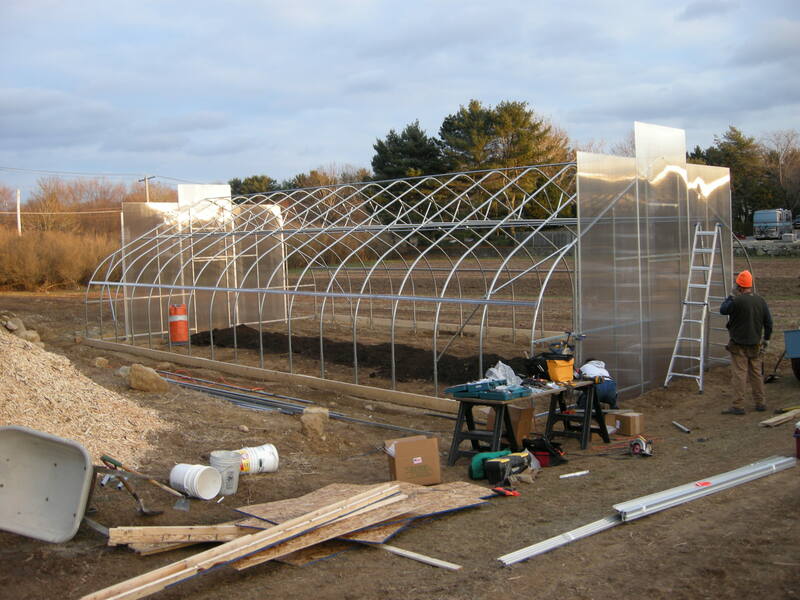 It takes a lot to keep a small farm going and thriving. 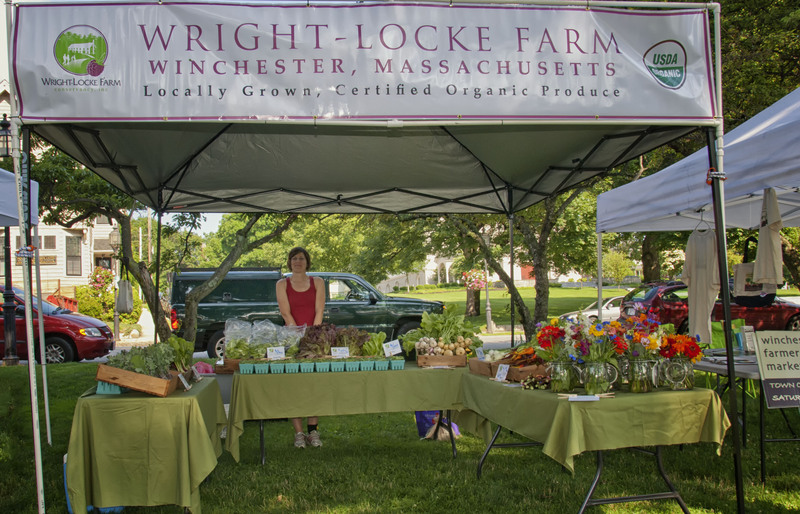 When the Town purchased the Farm in 2007 and formed the Wright-Locke Farm Conservancy to run it, it’s fair to say we didn’t have much of an idea of what was in front of us. 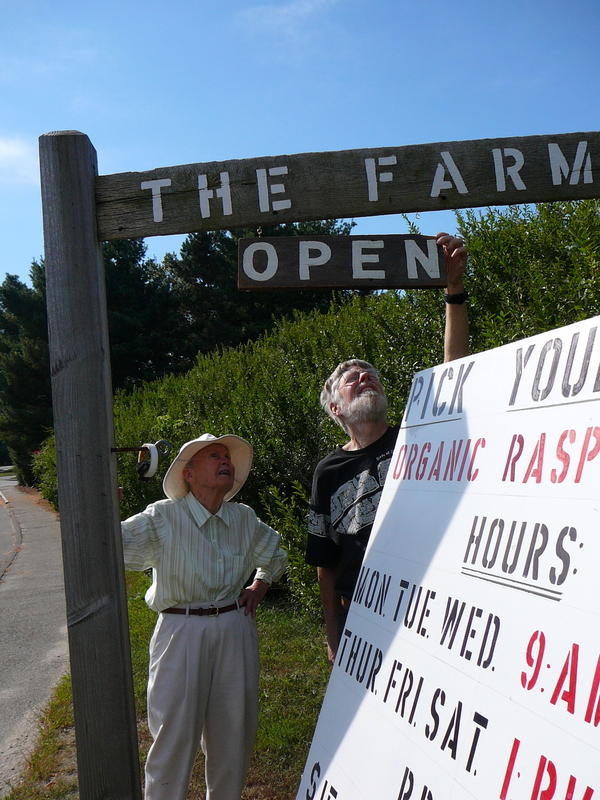 We took over the pick-your- own raspberry field and had the use of the Squash House. The remainder of the buildings and the farmstead as we now know it were part of a life estate held by Bertha Hamilton until she passed away in 2010. In those first several years we tended the raspberry crop and opened the fields up to our picking public each September for about six weeks until the first frost brought the season to an end. 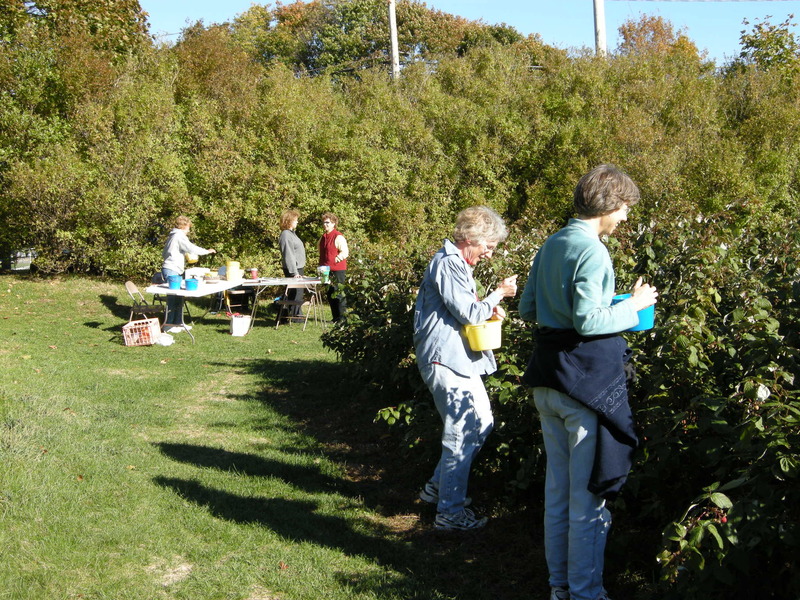 It was a great volunteer effort that netted the Farm about $15,000 to $20,000 per year. But that didn’t seem enough to sustain and justify a $14,000,000 investment by the Town in this last remaining 20 acres of our farming heritage. The farm has been “saved”. We have a long-term lease (30 years, with a 30 year extension) from the Town and we were able to buy 12.5 acres around the Farmstead with the generous support of many in the community. And we have been able to invest in and restore our historic buildings that form the backbone of this important resource. Anyone who lives in an old house knows it takes a lot of upkeep. It’s no different for us with our farmhouse, 1827 Barn, Ice House, Farm stand and Squash House. I could give a long list of all the projects – new roofs and exterior repairs, repainting all the buildings, wiring and building alarms, new public, accessible bathrooms for our many visitors and on and on. All told, with the generous support of our community, we have invested over $500,000 in stewarding our (town-owned) buildings. 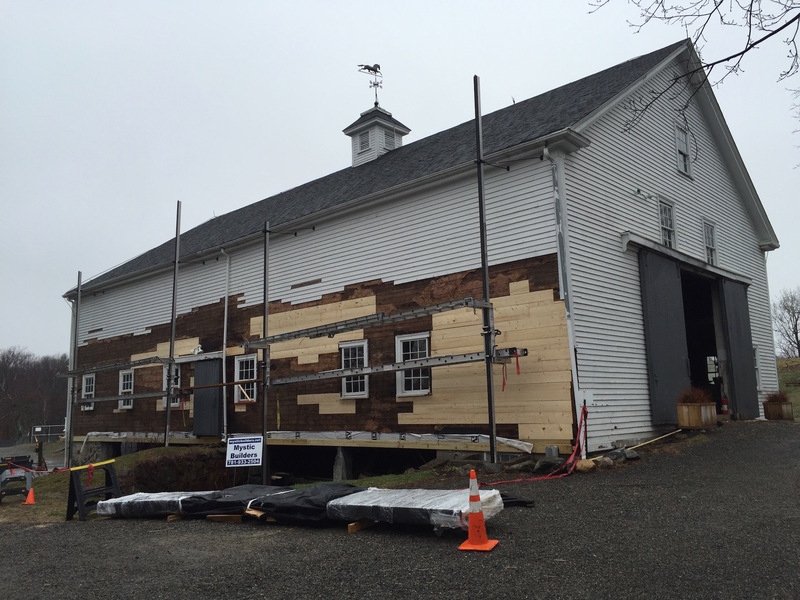 This month marks the completion of our last major exterior restoration project: our Squash House. 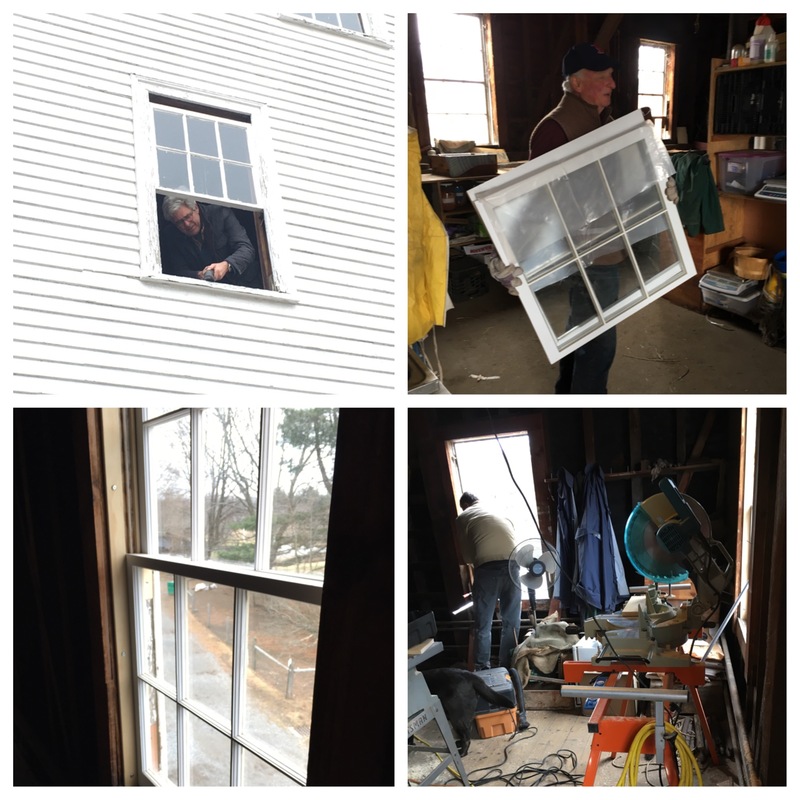 Thanks to Scott and other volunteers and contractors, we replaced all of our deteriorated windows (34 of them in total) with historically accurate, six-over-six double hung sashes, replaced rotten gutters, soffits and exterior clapboards and repainted the entire exterior. 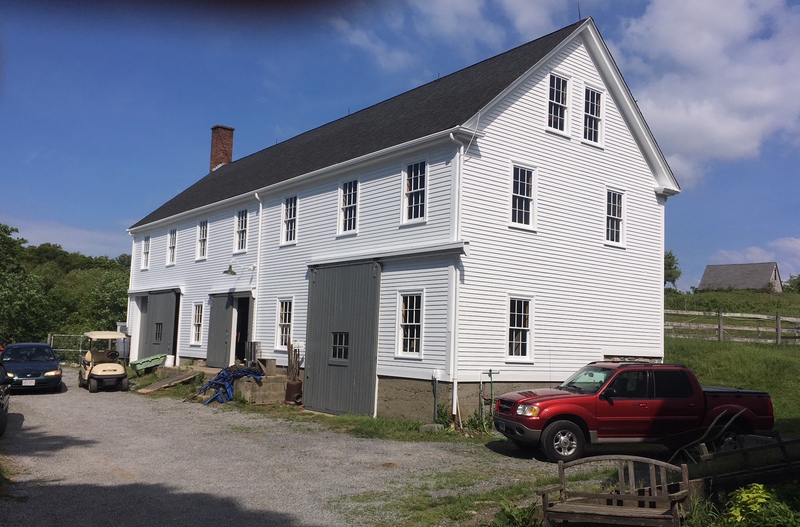 All our major buildings at the Farm are on the National Register of Historic Places and subject to a State Preservation Agreement so everything we do to the exterior has to be historically appropriate and subject to reviews and approval by the Massachusetts Historical Commission. It adds a degree of difficulty and expense, but in the long run, it’s worth the extra care and attention to detail knowing that we’ve taken care of the buildings and set them, and the farm, up for a bright future. Now all of our historic buildings have been restored, we look forward to our next projects. There’s always something on the horizon that needs our attention. Top on the list is displaying some of our many historic farm implements, wagons and tools so that our visitors can properly appreciate them. We are working on a display of our ice harvesting tools in our Ice House that’s tucked just to the north of our 1827 Barn. 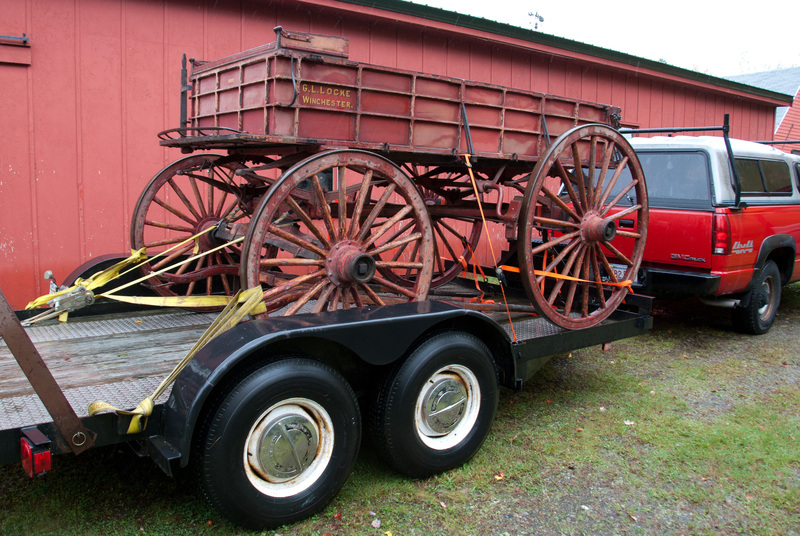 One big project is to move one of our three horse-drawn Ice Sleds from below the 1827 Barn up to the Barn’s second floor loft where it can been seen by all the people who come through the Barn. It’s a lot easier said than done to move a 1,000 lb. sled. We’re lucky to have Charlie Silva, one of the members of the This Old House crew, to help us move and lift the sled with one of his telescoping lifts that can maneuver this unwieldy, heavy artifact. Charlie says he needs to block off a full day for the work, making sure there’s enough time should unanticipated difficulties arise. Checking with Amy, our Events Coordinator, and Erika, our Education Coordinator, it turns out that we have only one full day when the barn is not otherwise occupied with activity between now and mid-October. Fingers crossed that one day works for Charlie’s schedule. Yes, the Farm has become a busy place with lots of activities going on. Stay tuned for an upcoming blog post on plans for a new, year-round Education Center which will help alleviate some of this pressure by providing a full 12-month calendar for all the things going on and an additional venue at the farm for our many activities.